Although I only need to shave my armpits (genetics allow me to be hairless everywhere else! ), I still need a razor that makes me comfortable and doesn't hurt me when I use it. I have very sensitive skin that gets irritated easily, whether through cuts or even acne (yuck, I know). Whether you need to shave your legs or armpits (or both), no girl wants to walk around and feel like Chewbacca. It is also probably not the best sight to see when a girl especially hasn't shaved her armpits. Trust me, #itsnotme! 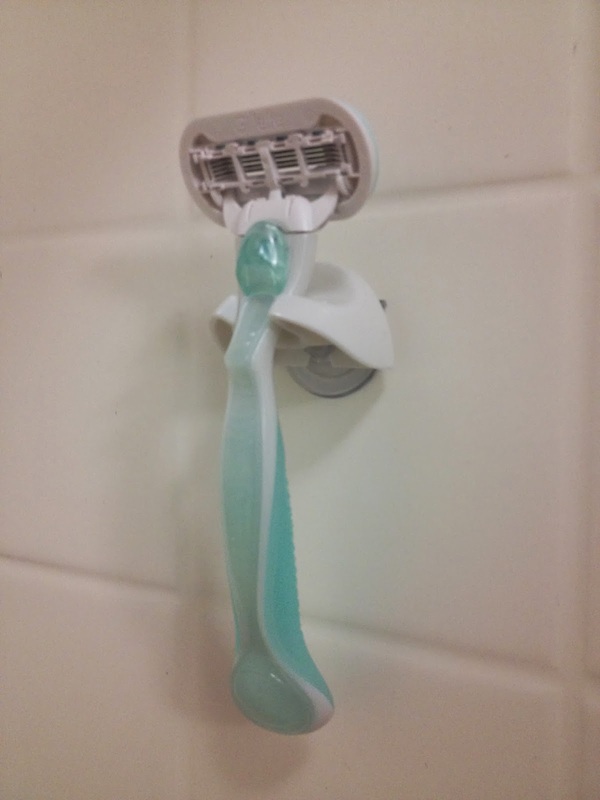 Another pet peeve of mine with razors? When you have to store them in the shower but they rust after one use, so you need to replace them more often. Your razor needs to be able to alleviate all those worries. 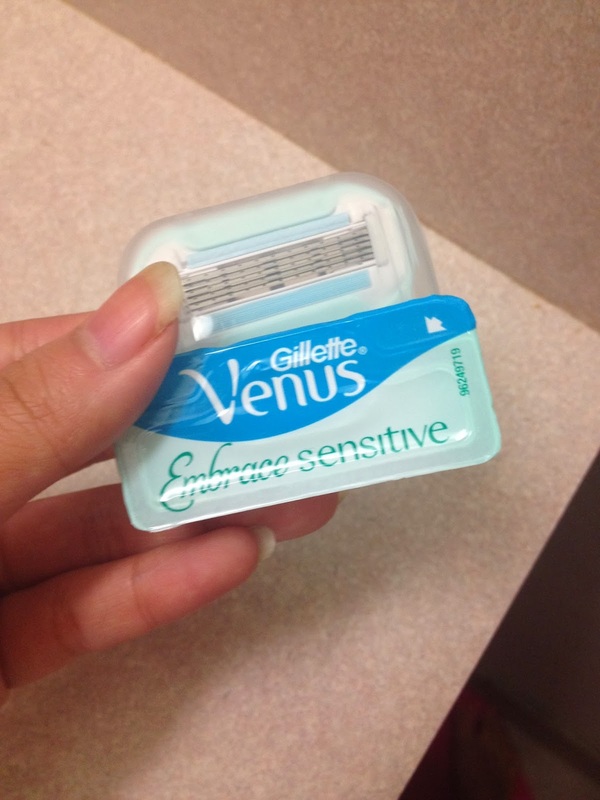 Thanks to Influenster, I had the opportunity to try out the Gillette Venus Embrace Sensitive! When I opened the box, the razor was in its normal packaging. It claims to have "less feel of irritation, even on sensitive skin." Upon opening the package, you find that it comes with the razor, two sets of blades with five blades on each set, and a suction-cupped razor holder. I finally got to try out the razor myself, and I really enjoyed how well it shaved! It was a close shave and it left my armpits feeling smooth. It stayed that way for a few days, which I liked! I like when I don't need to shave everyday. Another plus: having a place to hang up the Venus Sensitive allows me to put it where it won't be in water all the time, but yet I can still keep it in the shower without rusting. This way I'll be able to keep this a little longer! Is it weird that I keep saying armpits? Should I have said "underarms" instead? 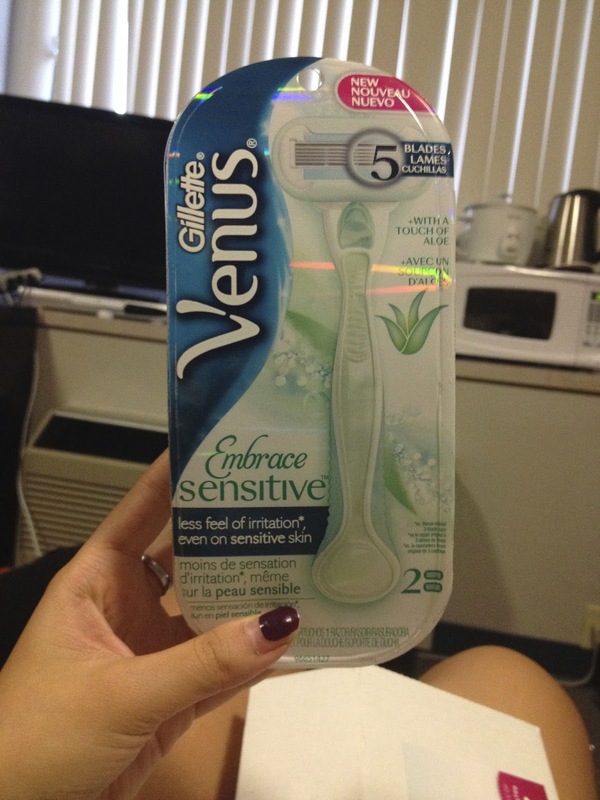 Disclosure: I received the Gillette Venus Embrace Sensitive complimentary of Influenster, but all opinions are my own. I can't believe you only have to shave your armpits lol (lucky!! 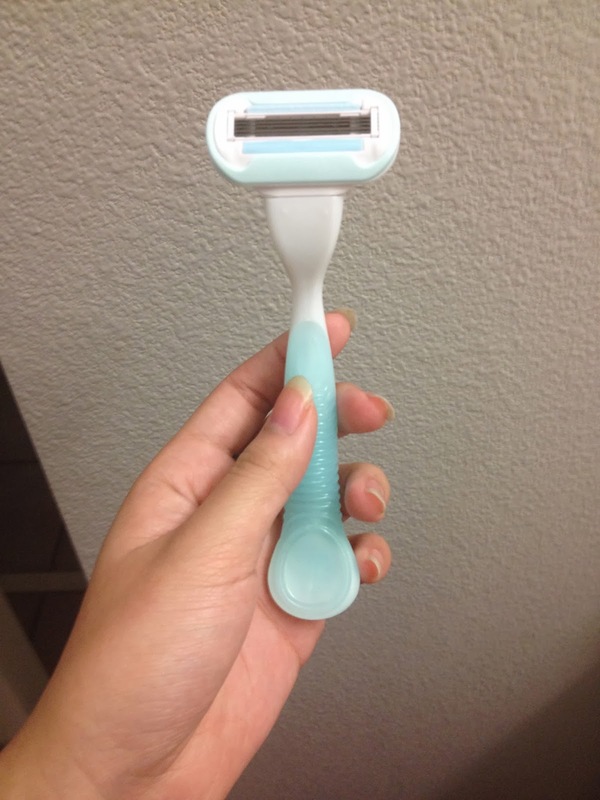 ), I'm pretty obsessed with my intuition razor but i have tried venus razors before and really like them too! Haha, thanks! I know it's pretty great. And these razors are so good too!